Jonathan B. Marks - Mediator & Arbitrator based in Bethesda, Maryland. If you’d like a list of available dates for Jonathan Marks, please submit a request below. You will hear back directly from Jonathan's assistant, Natalie Alfaro. 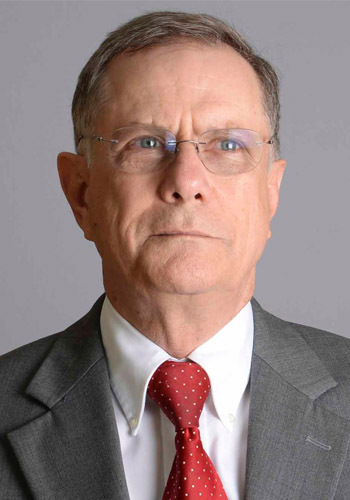 Mr. Marks has been a full-time mediator and arbitrator since 1981, when he co-founded Endispute, the United States' first full-service ADR firm. From 1994, he was Vice-Chairman of JAMS-Endispute. For the past decade, Mr. Marks has served as mediator/arbitrator with MARKSADR, LLC. In his 31 years as a full-time mediator and arbitrator, he has handled more than 1,500 major disputes, many of which were high profile litigation matters, including the lengthy mediation involving Microsoft, the Department of Justice and a number of states. Mr. Marks serves US-based and international clients, concentrating on complex, high-stakes mediations. He is usually retained for merits-based mediations, tailored to identify and overcome case-specific barriers to resolution. According to the co-chairman of a major international law firm, "In addition to being very smart, Mr. Marks understands that building trust in the process and managing human behavior are essential to being a good mediator. He's not one of those people who tells folks what they should do based on his experience or who just plays the 'bid and ask' game." For both 2011 and 2012, the International Who's Who of Commercial Mediators has recognized Mr. Marks as one of the top ten "most highly regarded" international mediators, based on canvassing "opinions of law firm clients, corporate counsel and mediation specialists around the world." Before becoming a full-time neutral, Mr. Marks was a federal prosecutor, serving as an Assistant United States Attorney for the District of Columbia; a litigation partner at Munger, Tolles & Olson in Los Angeles; counsel and associate director of the United States Peace Corps; and general counsel of the International Development Cooperation Agency. Before law school, Mr. Marks served in India as a Peace Corps Volunteer.